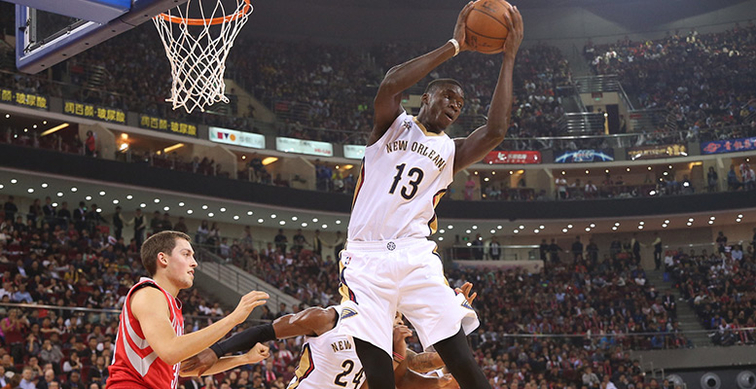 The New Orleans Pelicans will be one of the NBA’s most intriguing teams to follow this year. The Pelicans are filled with star talent but roster fits and schemes may hold the team back. The Pelicans feature Anthony Davis and Demarcus Cousins in the front-court which is one of the more talented front court’s the league has ever season. Problem is, neither has done a lot of winning in the NBA. They’ll be joined by Jrue Holiday who signed a 5 year $157 million deal in the off season and Rajon Rondo who most teams paid no attention too during free agency. The Pelicans have the potential of a playoff team or they could be a team that could sell Cousins (who is a free agent at end of the year) or Davis (Celtics and all those draft picks?). Rajon Rondo was basically an afterthought during free agency. No one wanted to sign him until he came to a minimum agreement deal with the Pelicans. Rondo can still run an offense and is a gifted passer, however, he needs to regain his leadership characteristics and place full effort into this season. Jrue Holiday resigned on a 5 year deal in the off-season. Holiday is primarily a PG but will slide over to the SG role with Rondo manning the point. Holiday needs to prove he can stay healthy to be worthy of his contract. Solomon Hill is the weak link in the lineup and may be the worst starting small forward in the league. Hill is an above average defender and will have to continue to make that his trademark for this year. Anthony Davis is coming off the best year of his already impressive career. Davis averaged 28.0 points and 11.8 rebounds per game while adding 2.2 blocks. Most importantly he stayed healthy and played in 75 games, the most of his career. Demarcus Cousins was acquired a few days before the deadline in a deal that shocked the NBA. Cousins averaged 24.4 points and 12.5 rebounds in 33 plus minutes of action in the 17 games he played with New Orleans after being acquired. Cousins is set for free agency at the end of the year. The Pelicans bench is what could hold the team back from a potential playoff berth. Big money, long tern contracts to players such as Omer Asik and E’twaun Moore has limited the team financially. Frank Jackson is a rookie point guard from Duke. He was selected with the 31st overall pick in the draft. Jackson is a knockdown shooter knocking down 40% of his three point attempts in his lone season in the college ranks. Ian Clark was signed to bring shooting and playoff experience to the Pelicans bench. Clark made himself a solid bench contributor for the Warriors last season. Clark shot 37.4% from three and is capable of much more in an expanded role. Clark scored a career high 36 points against the Spurs on 15-for-21 shooting. He has a chance to get a lot more minutes and more responsibility with the Pelicans. 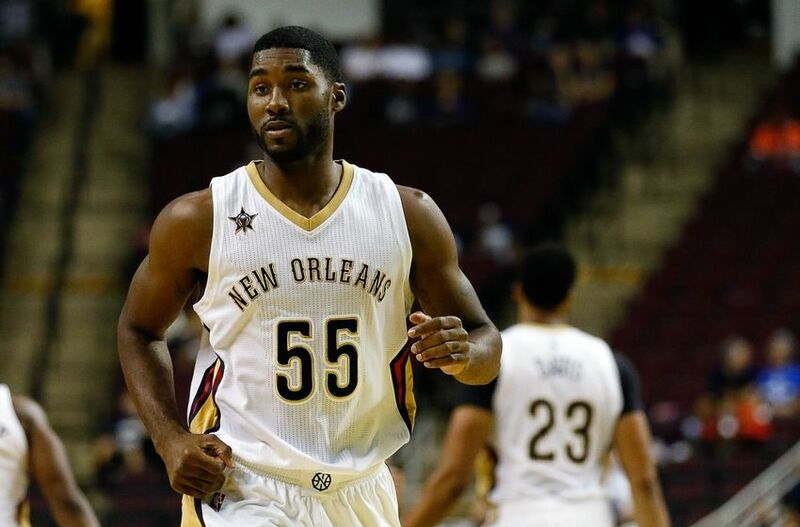 E’Twaun Moore is a combo guard capable of handling the ball. Moore scored 9.6 points per game to go along with 2.2 assists in nearly 25 minutes of action a year ago. Jordan Crawford is another combo guard who made his return to the NBA after a two year hiatus. Crawford appeared in 19 games a year ago and was a go to scoring option off the bench. Crawford scored 14.1 points per game on 38.9% from three. Quincy Pondexter has suffered knee injury after knee injury each of the past two seasons. An injury plagued two seasons has caused Pondexter to miss each season. He has failed to appear in a game since 2015 so Pelicans fans should not rely much out of him. Darius Miller is another player making a return to the NBA after three years away from the league. Miller spent the past three seasons in the German basketball league and returns for his second stint with the Pelicans. Chieck Diallo is an interesting young player in the front court and should see more of an expanded role in year two with a year of NBA and D-League experience. Diallo was a raw prospect leaving Kansas after his freshman season. He appeared in 17 games during his rookie year averaging 5.1 points and 4.3 rebounds in just 11.7 minutes per game. Diallo flashed some potential upside and should be more of a factor this year. Omer Asik may have the most untradeable contract in the NBA. Asik has three years and $36 million remaining on his deal. Asik has become a very limited player after once being a solid rebounder and interior defender. Asik appeared in just 31 games a year ago scoring 2.7 points and grabbing 5.3 rebound in 15.5 minutes of action. Alexis Ajinca is another average center backing up Davis and Cousins. Ajinca is useful as he shoots a good percentage from the free throw line and provides decent production in the limited minutes he gets. However, it’s tough to rely on him for a larger role. This season could break one of two ways for the Pelicans. The front court pairing of Davis and Cousins could dominate bring old school basketball fashionable again. The duo reaches the playoffs in a loaded Western Conference and the Pelicans can convince Cousins to stay long term. The second option is the team could fall flat on its face as the team is basically starting two point guards and two centers. The roster construction and the bench is the teams flaw. They could struggle out of the gate and the team becomes a seller at the deadline moving Cousins for a future asset. The Pelicans will be an interesting team to follow but have the star power to make a playoff run in the West. A season between 33-43 wins is extremely likely.